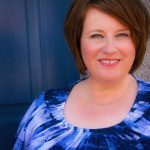 Kerri Richardson is a lifestyle designer and trained coach with more than 15 years’ experience. She has worked with thousands of people throughout her career, helping them to identify and eliminate the clutter in their lives and challenging them to play bigger, shatter expectations, and fulfill their vision. She is also the author of the book What Your Clutter Is Trying to Tell You: Uncover the Message in the Mess and Reclaim Your Life . Why Not to Get Organized?